Clergyman shirt with long sleeves in light blue linen and cotton fabric. 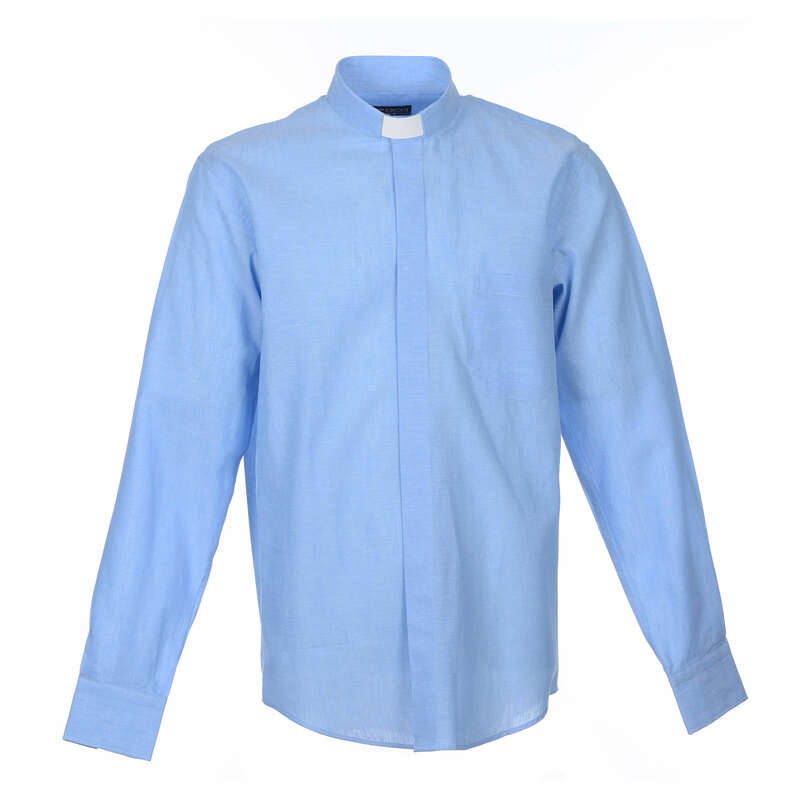 This clergyman shirt is made of linen and cotton fabric to make it easy to iron while keeping the characteristics of freshness and lightness of the linen. 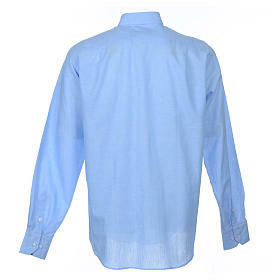 Italian desigh shirt in a classic style with back darts, buttons and buttonholes that match the shirt. It comes complete with a collar. The size refers to the neck circumference. Très belle qualité et coupe actuelle. Agréable à porter et tissu léger. Very nice quality and current cut. 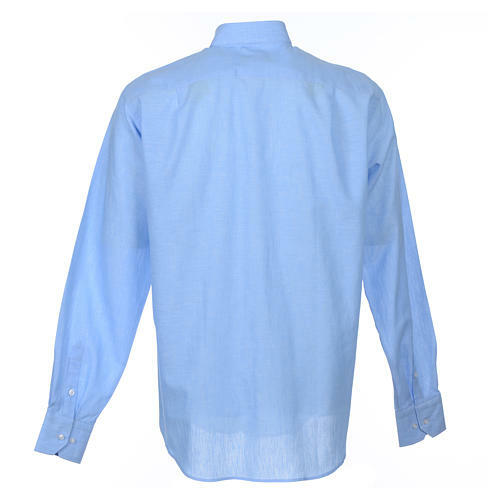 Nice to wear and lightweight fabric.